In an abandoned house in Stockton, California, the mama pitbull was found breastfeeding her 10 young puppies. Somehow, she had enough strength to nourish her pups when they were picked up by animal control and then rescued by Ozzie’s Pound Puppies. 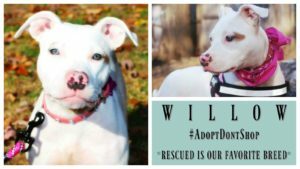 They gave her the temporary name, Willow, and got Willow and her babies into a generous foster home through a very active and wonderful independent dog rescue organization called OhMyDogRescue, run by Jessie Hughes. In foster care, Willow’s pups got healthy, but unfortunately mama developed a potentially life-threatening breast mastitis. She was rushed in to have major surgery. Thankfully, surgery was a success and Willow was immediately returned to her foster mom and 10 pups. As Willow started to recover, she continued to care for and breast feed her pups! While she got healthy, all 10 of her puppies found their forever homes through the help of OhMyDogRescue and Ozzie’s Pound Puppies. 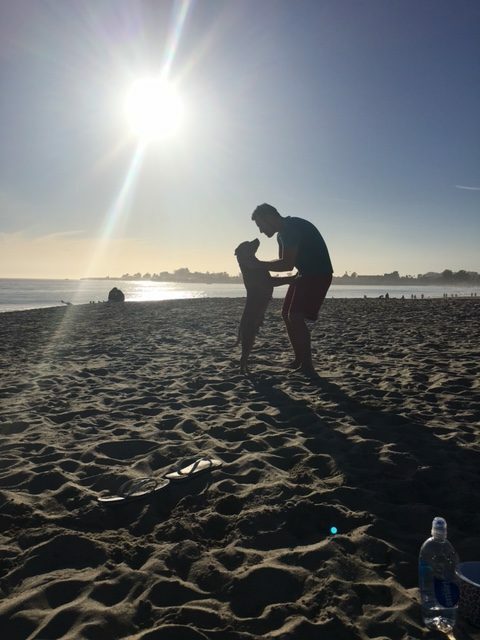 At the same time, the girlfriend of a man named Josh knew that he was looking to adopt a pitbull, as he had fallen in love with the breed after becoming a volunteer as the San Francisco SPCA. Josh’s girlfriend tagged him in a picture of one of the puppies on Instagram. He clicked through and saw their mom. The description of the mama dog and her temperament immediately made Josh want to meet her! Josh and Willow bonded the instant they met. Within five minutes, she was cuddled up next to him, with her head on his lap and with one of her puppies playing on her back. A week later, Josh brought her home forever and named her Millie. Josh and Millie now live together in his 23rd floor apartment in the Financial District of downtown San Francisco, and spend their weekends out in suburban Dublin, CA (with Josh’s girlfriend who is Millie’s adopted mommy). Josh feels blessed to have amazing Millie in his life. 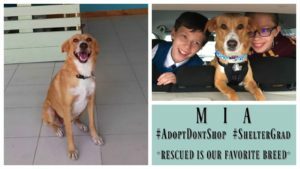 He grew up with dogs all his life and he has never been around such a sweet-natured, smart and loving dog as Millie. She is the pawfect advocate for how loving and good pitbulls are. 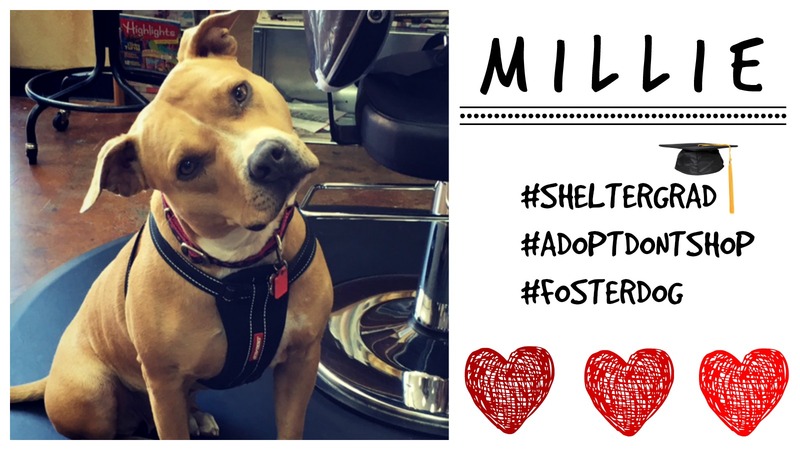 Millie is incredible with dogs of all sizes, with Josh’s girlfriend’s 10 year old child, and anybody who meets her! She gets stopped in the streets every day because of how cute she is, and is a regular at her adopted Mom’s hair salon on Mondays and Tuesdays. Her favorite pastimes are running around in the park and rolling around for ages in the grass. On trips to the beach, Millie loves playing with other dogs and running in and out of the water as the waves come in. She’s a real snuggler and loves affection! Millie truly is man’s best friend. 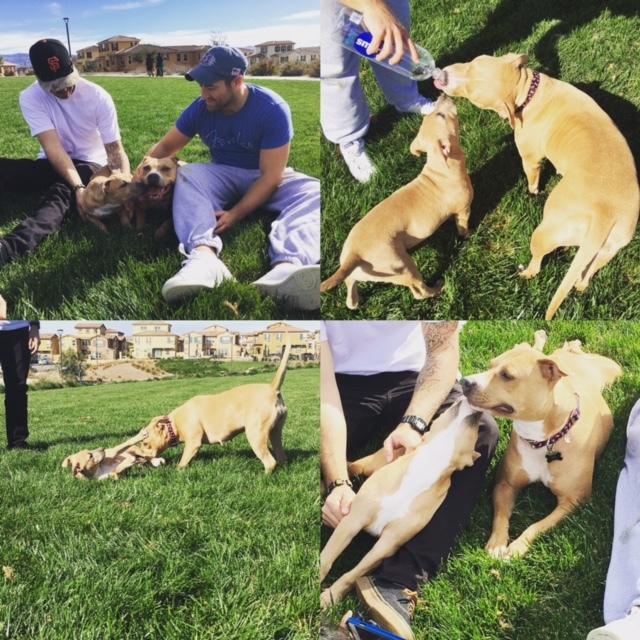 Josh goes everywhere with her and Millie loves nothing more than to be her furever dad’s side! 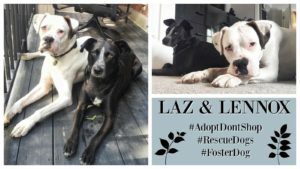 Dog Rescue Stories: Bozo is Looking For His Forever Home!!! 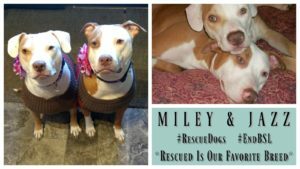 Dog Rescue Stories: Junior the Pitbull Was Saved From A Breeder!